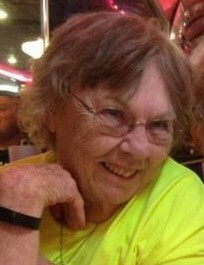 Charlene "Charn" Emma Kidd, 76, of Wake Forest, passed away November 29, 2018 at her home. Mrs. Kidd was born in Cincinnati, Ohio to the late Charles and Estella Donaldson Yourell. Animals held a special place in her heart. Dogs and cats often gravitated toward her loving spirit and would form a long-lasting bond. Charlene enjoyed spending time with her family and will leave a large void in their lives. Mrs. Kidd was survived by her husband of 57 years, James Thomas “Jimmy” Kidd; children, Pat Wheeler, Robbin Kidd-Mattingly and Thomas Kidd & wife Crystal; sisters, Joyce Bierman & husband Don, Bonnie Culberson & husband David, and Kathy Ritchie; brother-in-law, Garry Kidd & wife Nora; granddaughters, Sarah Ray & husband Bryce, Kaitlin Chaney & husband Jerryd, Hailey Fuentes and Emma Kidd; grandson, Joe Spears and wife Shoshana; great-granddaughters, Lorraine Ray and Lily Belle Chaney; great-grandsons, Carson Ray and Landon Chaney; six nephews and eight nieces.